Born of an experiment in the early days of Good Intent, Ginger Kid blends our cider with fresh ginger root and the goodness of Beiler Farm’s Pennsylvania maple syrup. 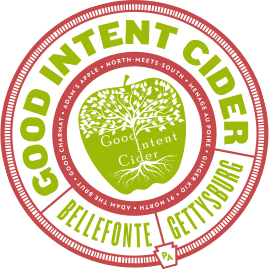 While many flavored ciders tend to overwhelm the palate, we balance the ingredients in such a way that the ginger and maple have supporting roles but the deliciousness of fermented apples takes center stage. Enjoy!